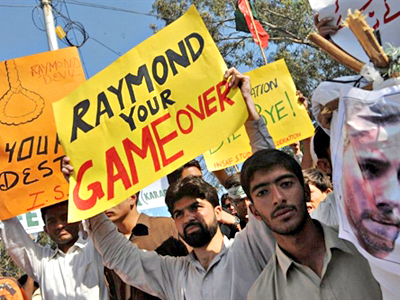 Raymond Davis who was charged with the murder of two Pakistani men leaves jail with US consulate officials after payments were made to the victims' families, prompting them to drop all charges. The announcement was made by the law minister for the Punjab Province following a court appearance by Davis. 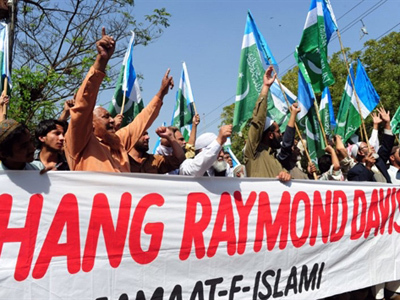 He was freed based on the “blood money” provision under Pakistani Islamic law. The clause allows an accused to earn his freedom by paying off the family of the victims. The US government is believed to have paid around $700,000 to each of the families of three victims, those who were murdered and a third who was killed by a car when Davis and other US government officials fled the scene. The US government also said it would provide assistance to family members looking to leave Pakistan for the US or the Persian Gulf regions. Furthermore, the US Justice Department has opened an investigation into the murders. Pakistani officials said Davis has already left Pakistan and is en route back to the United States. 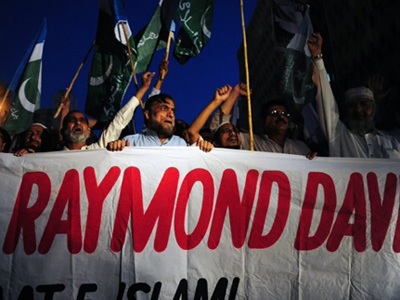 Prior to release, Davis was being held for the murder of two Pakistani intelligence officers. Authorities alleged that on January 25 he shot and killed the men in a car when he opened fire on them at a traffic light. The Obama administration has insisted the act was in self defense and Davis, as a consulate officer, held has diplomatic immunity. 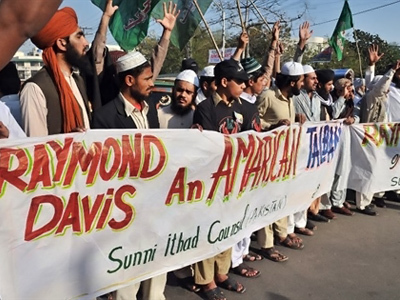 Pakistani court documents however argued Davis acted violently, using force in excess of anything relative to self-defense and that Davis could not hold immunity since his name was no official diplomatic records. 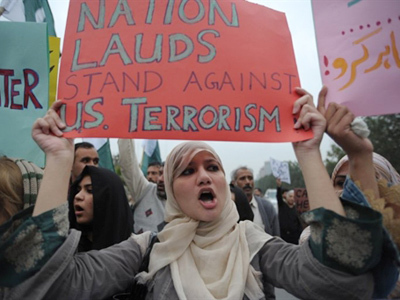 Following the incident the Pakistani people were openly outraged, protesting in the streets and calling for Davis’ execution. Following the “blood money” conclusion it is unclear how the people will respond. One this is for sure, the incident caused a great deal of turbulence in the already shaky US-Pakistani relationship and both sides were seeking a swift agreeable solution. A lawyer for one of the families involved allegedly told a Pakistani television station that the victims’ families were forced by the government to sign the pardon papers.